We have made a life-changing decision about our children’s education for next school year. We know many people will have questions about our choices. I am writing to try to more fully explain our situation and reasoning to those who care. The past two years have been a major disappointment for us educationally for Emily, our oldest. We went from an top notch elementary situation into a nightmare in 5th grade, with teachers who completely dismissed our involvement and contribution as parents to the educational process. They would neither work with us as educational partners nor fulfill the basic requirements of their own administration to communicate with us. When we tried to address the situation, we received no support from school administrators and worse, saw Emily singled out and retaliated against by the very teachers who said they cared about her. It was absolutely shocking for all of us. We saw Em go from loving school – even when she had to work at it – to hating school. And even though things improved in 6th grade (really – they could not have been worse), we have still been disappointed with the overall school environment created by the administration and by the unrealistic expectations put on teachers. Sadly, this is the school and environment that our youngest would be entering next year. Intermediate school teachers in our district are inadequately supported in every way. Em’s teachers this year asked for donations of supplies because so many students do not have what they need from home to be successful in school – and because those teachers are already supplementing materials the school provides at their own personal cost. Class sizes are large and unwieldy. After two quarters assuming Em wasn’t turning in her work, 3 assignments marked as “missing” and not turned in were “found” by the teacher only after I got in touch and explained that I’d seen the finished work myself and specifically confronted Emily about having turned it in. This happened three different times in a single quarter. Our public schools are over-run with students whose families do not and have not put an emphasis on education, so discipline moves to the forefront. It took 6 adults to chaperone a class of 30 students on a recent field trip to a local art museum. Add to this situation the worsening educational fiscal conditions and a virtual war on educators by current Ohio governor Kasich. Just last week, our school district announced another 2 million dollars in budget cuts which will remove 9 certified staff from the school our Em WOULD be attending next year if she stayed in the district – this blow to a school that already had a community reputation of being one of the two worst in the district in terms of learning environment, achievement, and student control. I also had a disturbing conversation with the gifted teacher Em would have next year. After clearly identifying myself as the parent of an incoming gifted 7th grader with questions about the curriculum, the teacher proceeded to tell me that all the kids love her class because it’s so easy and she loves it because she doesn’t have to work very hard to teach gifted kids. I was physically sick to my stomach after the conversation. As a classroom educator for many years, John spent a good deal of his career exploring and implementing best practices in education, even when those best practices, supported by empirical research, went against the traditions of 150 years of public school education in this country. Now as an administrator with vast exposure through his personal learning network to best practices from around the world, John has seen first-hand how empowering and effective techniques like cross-cultural and multi-age collaboration, truly individualized instruction, and experiential real-world application can be in a child’s education. He has seen and taught to teachers all over the world how technology can facilitate education – and yet our own children experience none of this. As parents who care passionately about our kids’ learning and who believe that one of our most important parental responsibilities is overseeing their education, we can no longer sit by and watch the vast educational opportunities and best practices available in this place and in this time pass by our own children. This is why we are removing both our children from our local school district next year. Megan, our youngest, will be attending a neighboring district’s public magnet school – Miller South School for the Visual and Performing Arts and Emily will be attending a “school without walls” – the Ohio Connections Academy. Those of you who know us personally know that these decisions have not come without much thought, consideration, evaluation, and detailed research. Yet you still might shake your head and wonder what on earth we are doing – and you might even believe we are jeopardizing our children’s futures. Don’t kids who switch school districts statistically show a decline in performance and in scores? How can we be sure that our Meg’s interest in the arts isn’t just a phase? Won’t such an emphasis on the arts cause her to be less well-rounded? 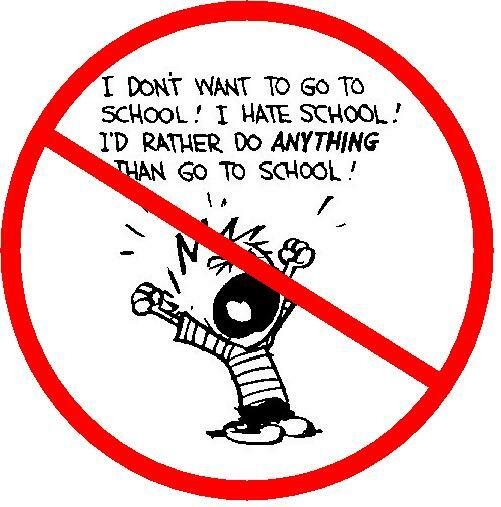 And online school – isn’t that just the same as home-schooling? Didn’t our experience with Suzuki violin demonstrate that I am not a good fit as a teacher for my own kids? Don’t we think Emily, who is quiet and introverted, needs to learn how to socialize with her peers and with other adults? Let me address these questions which I am sure you are asking. Megan has been passionate about the arts since she was 2.5 years old and has an innate theatricality apparent to everyone who meets her. It started when at age 2.5, she talked for 6 months (20% of her life then!) about learning to play the violin when NO ONEwe knew played violin. She loved learning to play the violin, loves learning piano now, has excelled in the vigorous vocal arts program she is in this year, and loves movement and dance. The first time we stepped foot in Miller South, we all KNEW it was an environment in which she would thrive. Myriad research has proven a positive link between participation in the arts and increased achievement in other academic subjects – and Miller South’s standardized test score blow away our home district’s school scores. Miller South is dedicated to educating the whole child in all fundamental subject areas. It offers courses in foreign language as well as advanced placement for math, science, history, and language arts which would not be available in our home district. As a public school, it is required to adhere to the same curriculum standards and meet the same testing requirements as every other public school in the state. But with all these positives, it’s NOT an ideal school. Class sizes are large – larger than our home district – with the potential for conflict resulting from the very diverse socio-economic make-up of the students (a proANDa con of this school). Math is taught in a very traditional way, not in the investigative method our home district uses. And we’ve heard that the homework load is large. We are not expecting to love every aspect of this school. And frankly, that would not be realistic. As for Emily, she has shown a strong desire to pursue studies in her own way on various topics, but undeniably needs close guidance from a professional educator – which I am not – to keep her on track. She gets intensely interested in one subject, learns all she can, then moves on to something else. She will benefit from being able to pursue these interests across disciplines. She has always excelled in reading, writing, and language arts and has recently started showing signs of interest in other languages. With Ohio Connections Academy, she will be able to take course-work appropriate to her level, even if that means taking an 8th grade class in 7th grade. Several foreign languages will be an option for her, too. At the same time, she requires more time to process and understand mathematical concepts. With one-on-one access to her teacher every single day, she will not get lost in the crowd and will have access to the type of help that right now only Dad can provide at night when he gets home. Emily will NOT be home-schooled any more than she already is. As a learning coach, my role is to mark her attendance, tracking the hours that she works to ensure that we meet the minimum state requirements for study, communicate with her teachers about her progress, and ensure that her homework is completed and submitted. With the exception of hours tracking, these are all activities I do perform. I am NOT expected to know the material or act as Emily’s teacher in any way, since she is taught and supported by state-certified teaching staff at this PUBLIC school just as she would be at any public school. The curriculum materials are written to the student and the student is expected to log-in each day, spend an average of 5 to 7 hours a day on school work, and complete the activities assigned. The LMS (learning management system) is very clear on what has to be done each day, when things are due, and what is overdue – and I will have full access to that system as well to monitor grades, assignments, and assessments. Only 30% of Emily’s time will be spent at the computer. The rest of the time, she will be reading to learn, working on projects or experiments, completing portfolio assignments, or taking field trips in person with her teachers and classmates. Frankly, the social aspects of this choice are the most concerning to us. Despite assurances that OCA sponsors numerous state and local field trips, we believe regular – not sporadic – social interaction is imperative. Emily will remain involved with the same Girl Scout troop she has been a member of since kindergarten. She will continue to do both community service and social activities with her church youth group as well as take her private art lessons and attend lapidary club meetings and field trips (for kids who love rocks) which she’s gotten involved with this spring. We plan to enroll her in some other group art activities so that she has daily exposure both to different forms of art AND to other children her age with her interests. She has also expressed interest in a recreational sport like gymnastics – and in taking horseback riding lessons (we’ll see about that one!). There is no denying that our children are very different from each other and have vastly different needs. Emily might have been lost in the shadow of extroverts at Miller South had she been admitted and Megan might wither in a less socially stimulating environment likeOhioConnectionsAcademy. On the flip side, Emily has blossomed with private art instruction – and we hope the same will happen with private educational instruction. Megan yearns to learn in an environment that accommodates her artistic expression – and we hope that Miller South is such an environment. But instead of looking at this as a life-changing, permanent decision, we have all agreed to treat it as a one year experiment. If we find that either situation is NOT meeting our children’s educational and social needs, we are prepared to keep searching for the best fit for both of them. Are we taking a risk by pursuing these alternative schooling options? Admittedly, we are. But we would also be taking a risk staying in our home district: a risk that the disappointing status quo would not change or would worsen, a risk that we would regret squandering our children’s potential and squash their love of learning out of our own selfish fear of change. And THOSE are risks we simply cannot continue to take.